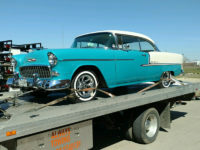 Cars • Trucks • Heavy Duty • Motorcycles • & More! We understand that cars can break down or accidents can happen any time, day or night. 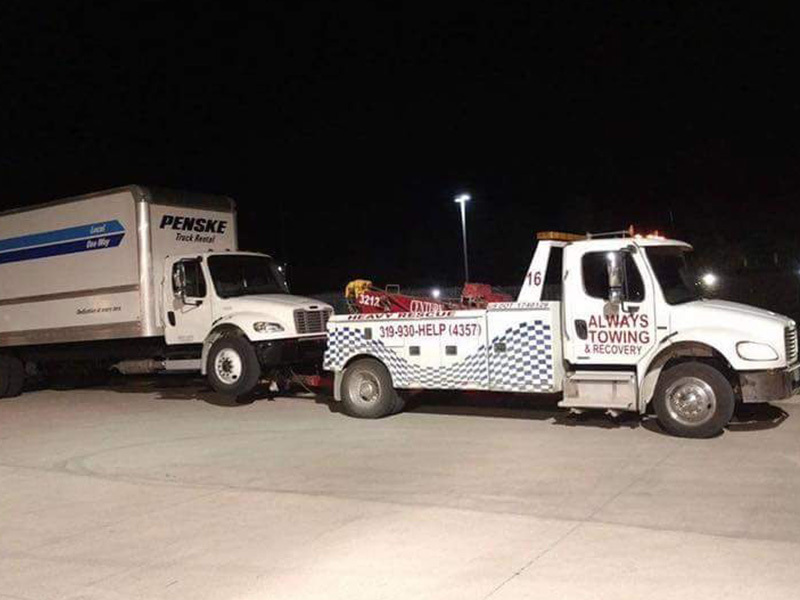 That’s why Always Towing & Recovery offers 24/7 Emergency Service, whenever you need us! We’re Always available to help you, no need to wait until the following day! 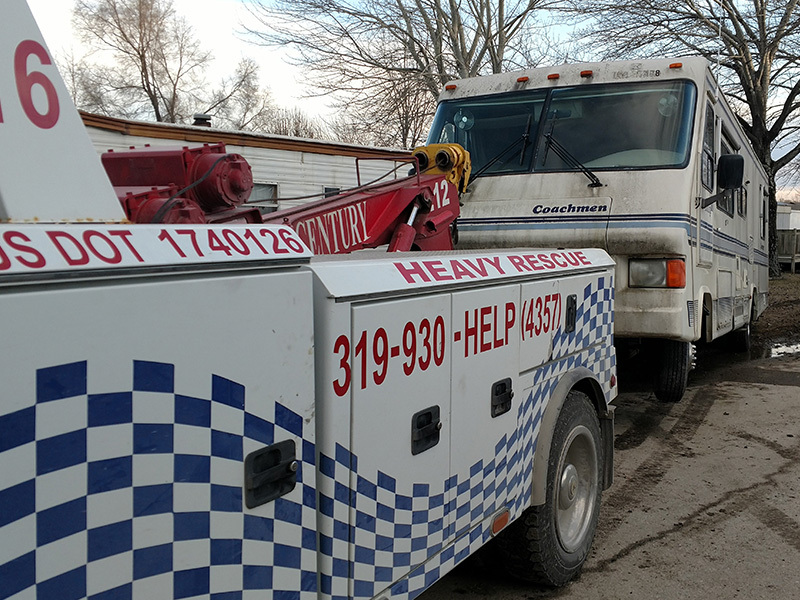 You can be assured that if you are stuck on a highway, in a parking lot, or in the middle of nowhere we’ll be there to bring you to safety. 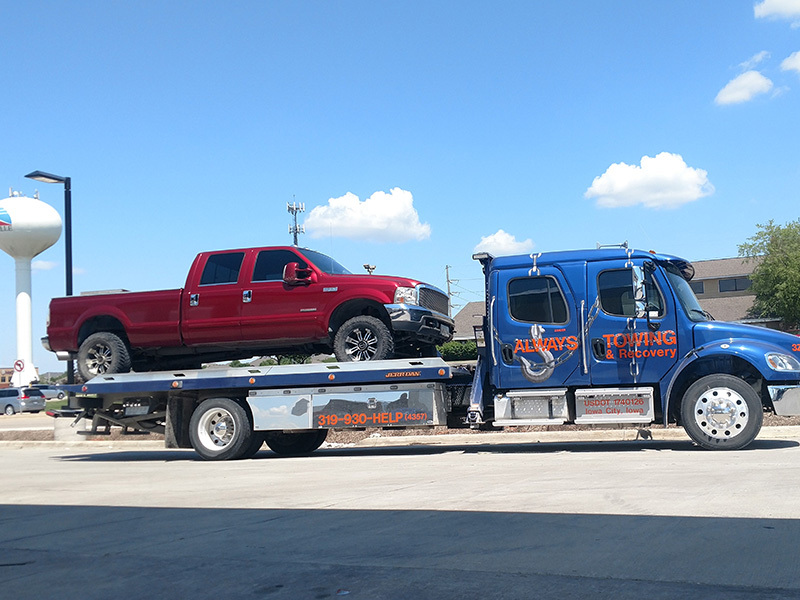 We offer you complete off-road services to tow and recover your vehicle. 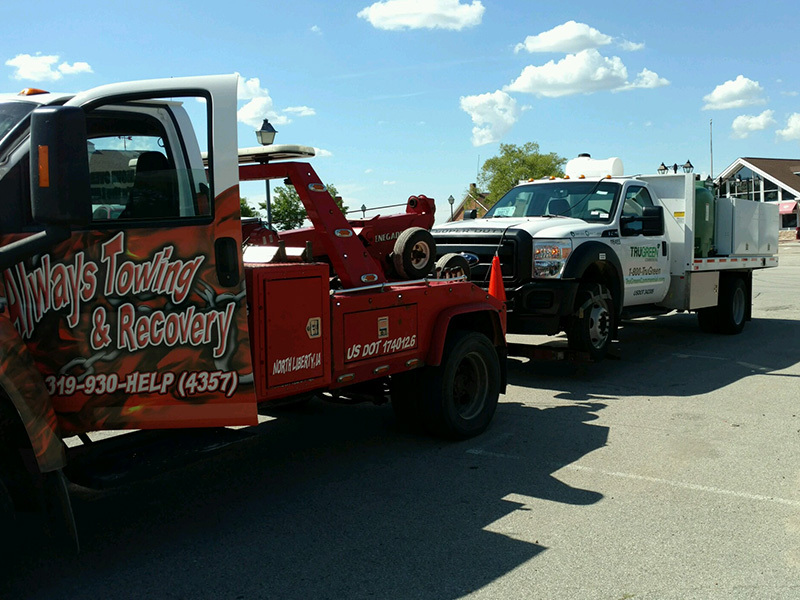 Always Towing & Recovery can tow it all…from cars to trucks and even a TANK! 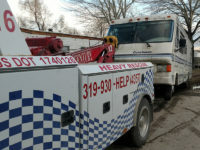 Give us a call, we’ll Always respond with prompt and reliable service! 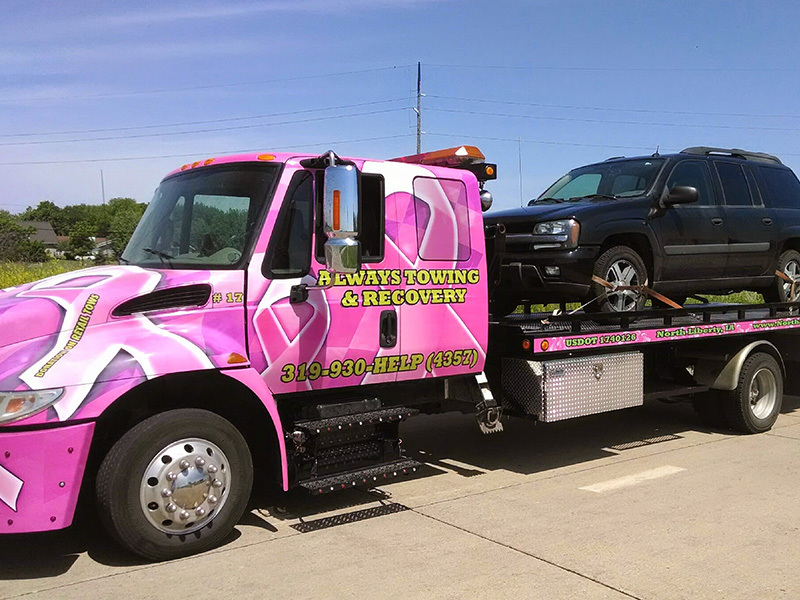 Call Now or Request a Tow Online! Great company, great people with a great reputation! Trust these guys, they have the correct equipment for the job to get it done rite and damage free the first time! 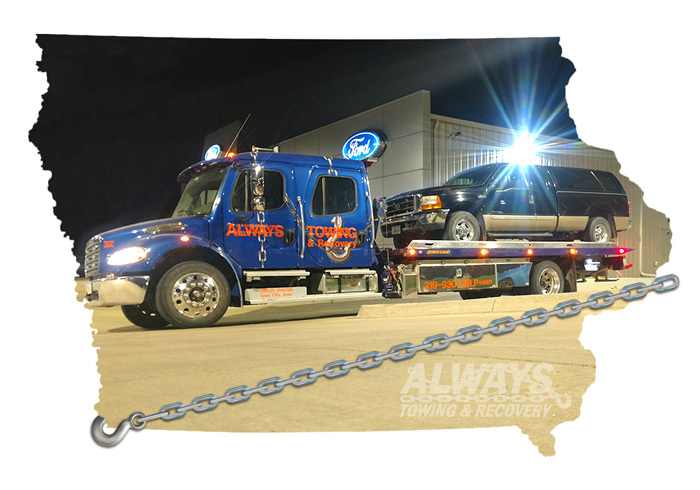 We had amazing service from Always Towing and highly recommend them if you are in such an unfortunate position. 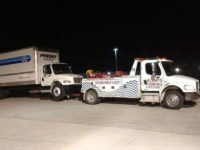 We found ourselves stranded on I-80 north of Wilton this Sunday evening. 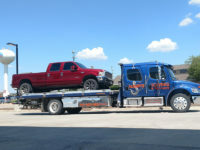 Our insurance company initially sent them 32 miles in the wrong direction, but Always Towing made sure that we were taken care of as quickly as possible. After 900 long miles on the road today, this guy was truly our hero. Call ALWAYS first!!!! 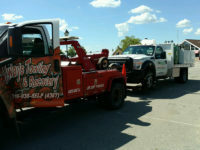 They are kind, courteous, knowledgeable, and have the equipment to get the job done right!!! We used a different company who made us wait 4 hrs and then couldn’t even take us. 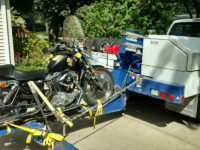 Called Always and they were there within an hour with the right equipment. They were personable and concerned with our well being. They said they get lots of secondhand calls like ours. Just save yourself the trouble and call them first! 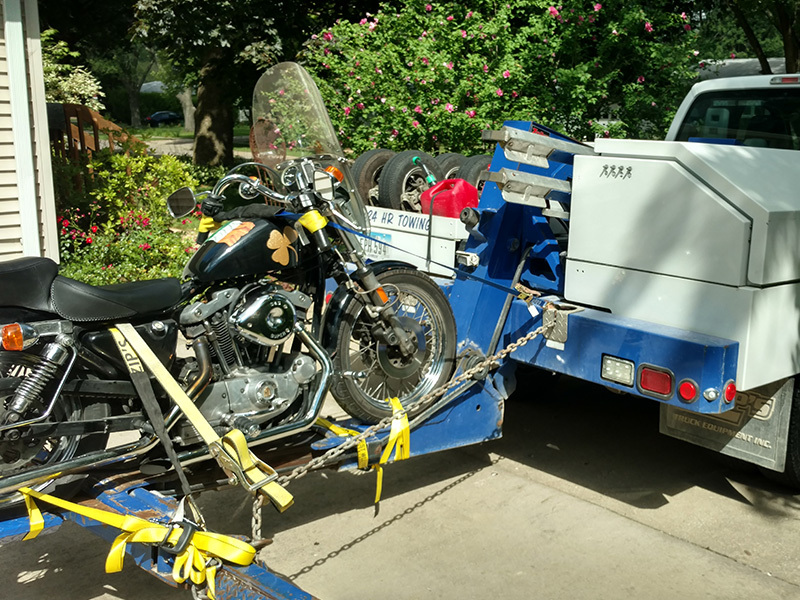 Ran into trouble today called you guys Trevor came out found out I had a loose oil filter followed Trevor back to RJ’s mechanic shop next door he gave it the once over and a good bill of health we’re back on the road to Nebraska thanks for your help peace of mind is worth a lot of money thanks guys. These guys rock! Thank you so much for working when you didn’t have to (a Sunday, after hours, and when you were supposed to be home with family). You made my day so much better because I was able to get home to my family a day earlier! Yesterday was a blessing! They fixed my car when the alternator went out down in Coralville. 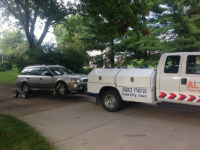 We lived two hours away and I was nervous that it wasn’t going to get fixed right but they had it working the next day. But I couldn’t make it down till two days later. I’m so thankful for them. There really nice. If I ever have problems again and were in the area I’ll be calling them again.